When you’re in the hair care aisle at the drugstore, it seems like there are an infinite amount of styling products to choose from. 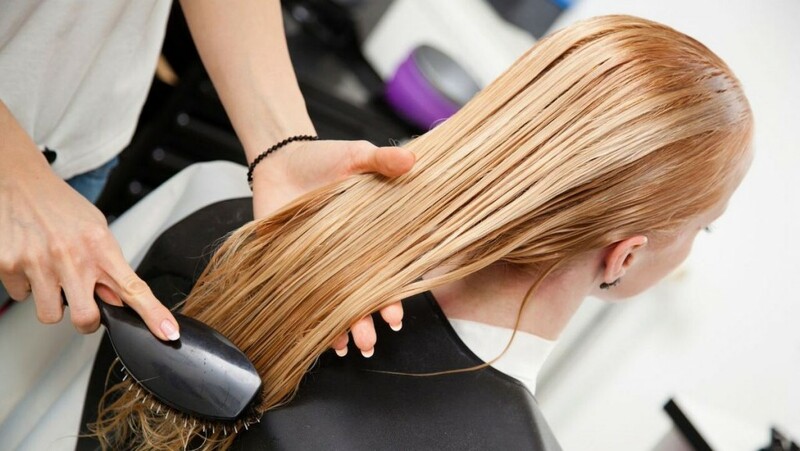 Expert hairstylist Estelle Baumhauer – Color Director at online hair color provider eSalon.com – guides you through the top 5 hair care products that shouldn’t be missing from your shelf if you want healthy, flawless hair. Leave in conditioner: “Not only does it help detangle and prevent breakage, but leave-in conditioner provides extra protection!” says Estelle. “It hydrates and locks in moisture, which is essential for maintaining healthy hair.” Plus, it can act like a “primer” by protecting from other styling products. Hair oil: “Hair oil is a little-recognized superpower! It can hydrate and repair your ends, deliver a boost of vitamins for healthier hair, plus make hair more manageable,” Estelle says. She suggests trying an essential oil, such as argan oil, and working a few drops evenly through to the ends of your hair. Wide tooth comb: No matter your hair type, it could benefit from gentler brushing. “Yanking a brush through tangled hair risks stretching and breaking your strands, especially if they’re colored,” says Estelle. “Apply conditioner in the shower, then gently detangle with a wide tooth comb while the conditioner is still on your hair,” she recommends. Dry shampoo: “Many people wash their hair more than they need to,” Estelle admits. “This can contribute to fading hair color, and also strips out the natural scalp oils.” These oils help condition your hair and give you a healthy scalp and softer ends. Dry shampoo absorbs the oil on your scalp so you can go an extra day or two between washing.